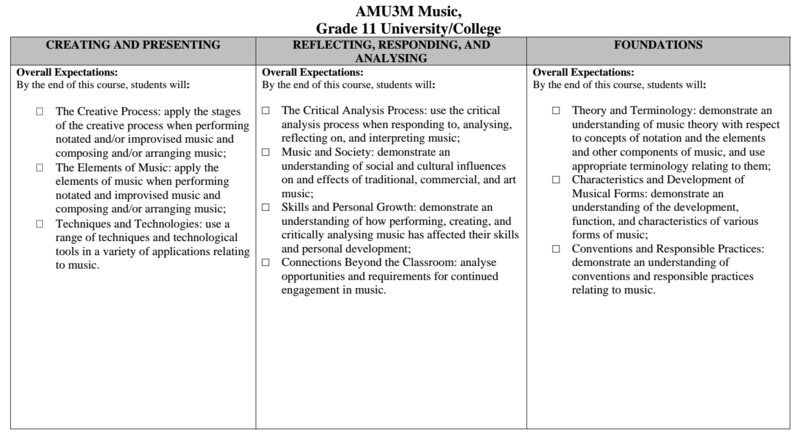 Course Description: This course provides students with opportunities to develop their musical literacy through the creation, appreciation, analysis, and performance of music, including traditional, commercial, and art music. Students will apply the creative process when performing appropriate technical exercises and repertoire and will employ the critical analysis processes when reflecting on, responding to, and analysing live and recorded performances. Students will consider the function of music in society and the impact of music on individuals and communities. They will explore how to apply skills developed in music to their life and careers.